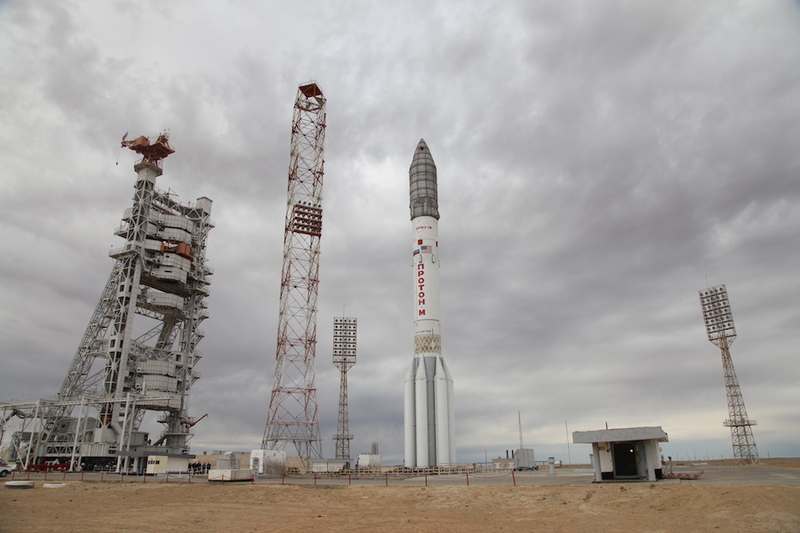 A Russian Proton rocket topped with a commercial U.S.-built communications satellite for AsiaSat is standing on a launch pad in Kazakhstan for liftoff Thursday. 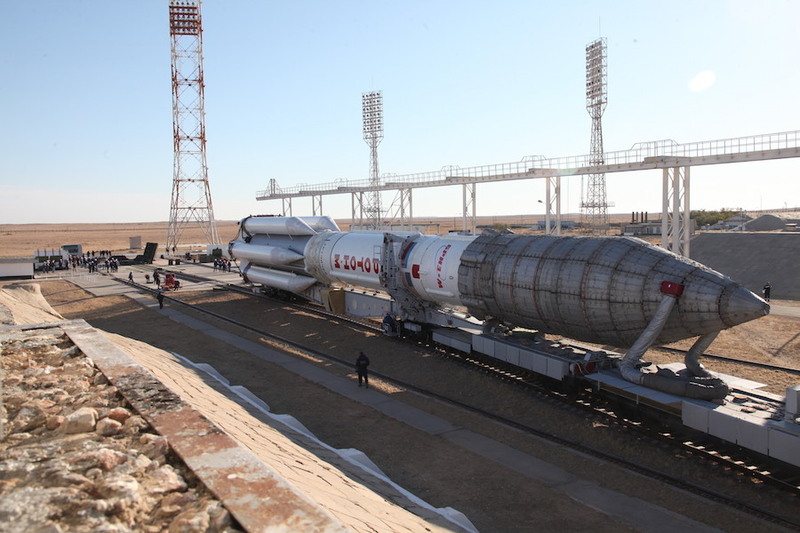 The three-stage Proton launcher and its Breeze M upper stage will take more than nine hours to guide the AsiaSat 9 satellite into an elliptical geostationary transfer orbit following liftoff from the Baikonur Cosmodrome in Kazakhstan at 1852:16 GMT (2:52:16 p.m. EDT) Thursday. 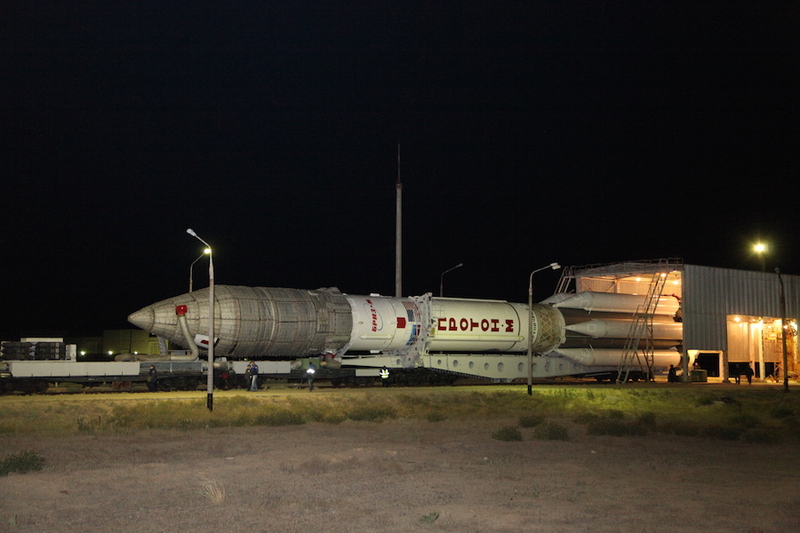 The 191-foot-tall (58-meter) rocket will ignite its six liquid-fueled RD-276 main engines and climb away from the spaceport on the Kazakh steppe at 12:52 a.m. local time Friday. 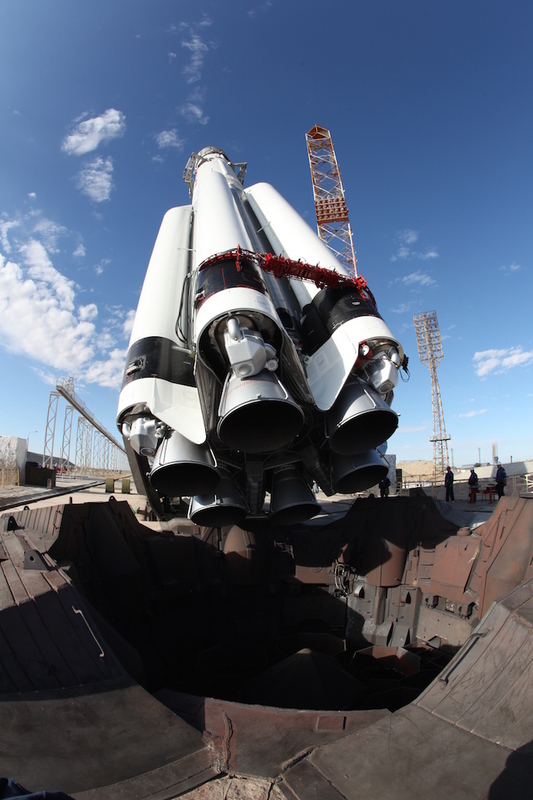 Embarking on a 15-year mission, AsiaSat 9 will relay direct-to-home television broadcasts, video programming, and broadband data signals across a coverage zone stretching from the Middle East to Australia. 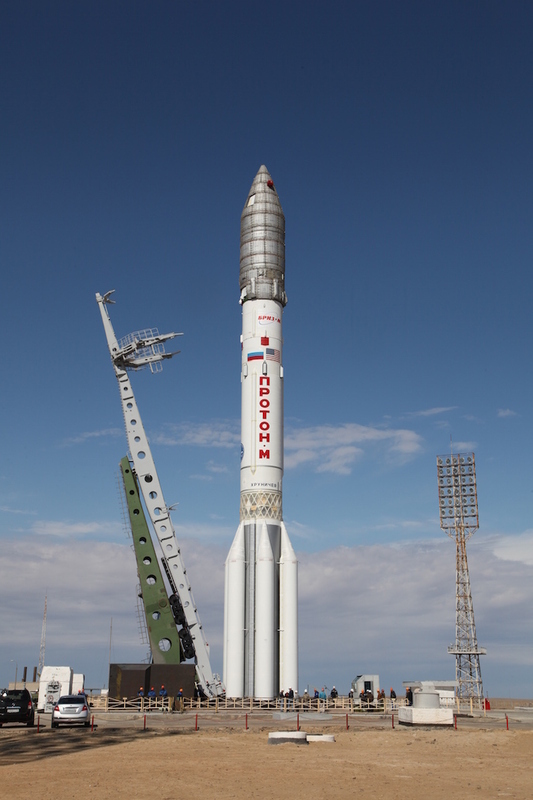 The high-power satellite, manufactured by Space Systems/Loral in Palo Alto, California, carries 32 Ku-band and 28 C-band transponders. 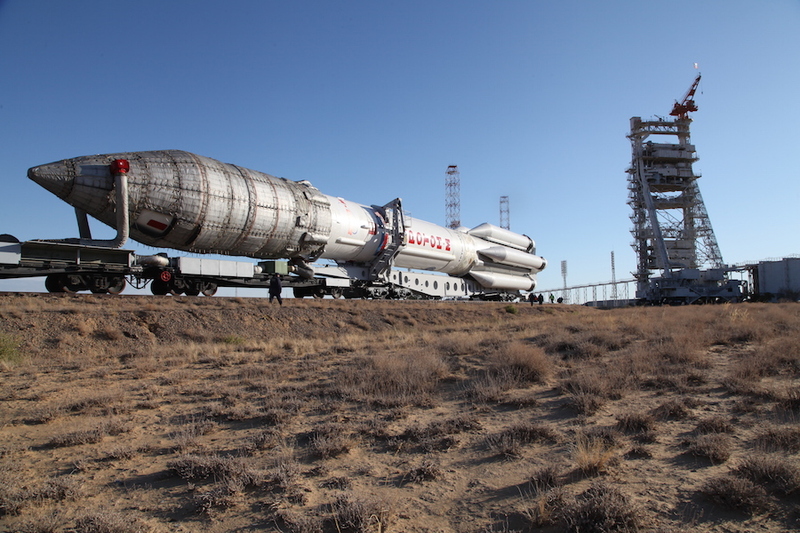 AsiaSat 9’s C-band payload will reach users from the Persian Gulf, through China, to Siberia, Japan, Australia and New Zealand. 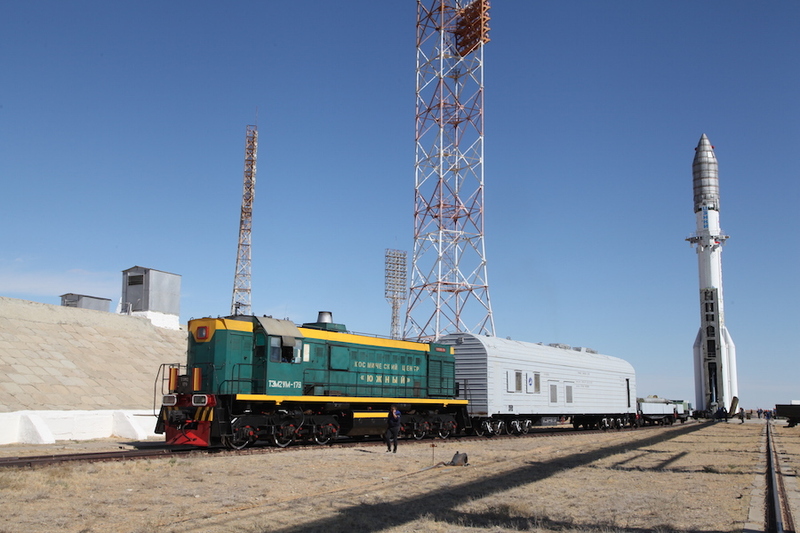 The Ku-band capacity is divided into five beams, covering China, Mongolia, Myanmar, Indonesia, and Australia and New Zealand. 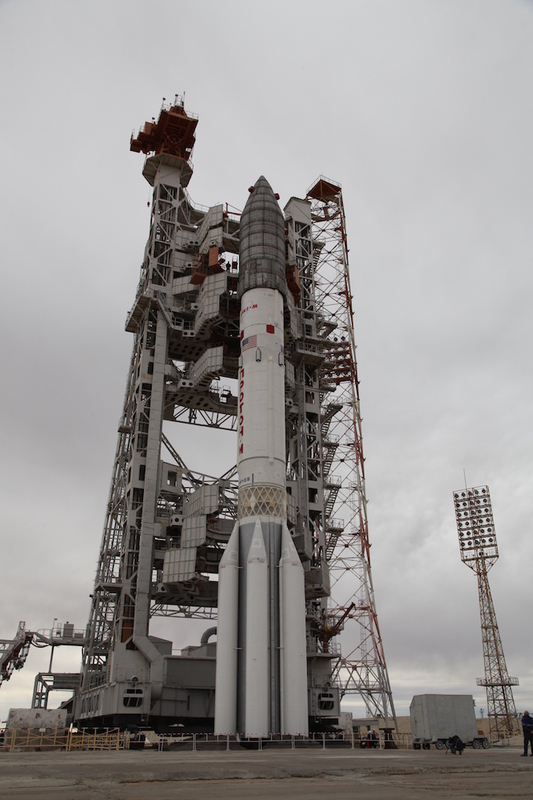 The satellite weighs around 13,536 pounds (6,140 kilograms) with propellant, making AsiaSat 9 the largest and heaviest spacecraft ever built for AsiaSat, an operator headquartered in Hong Kong with six operational satellites in its current fleet. 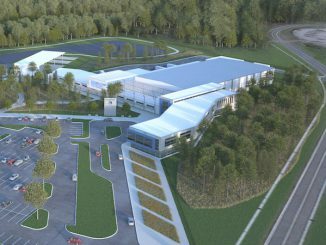 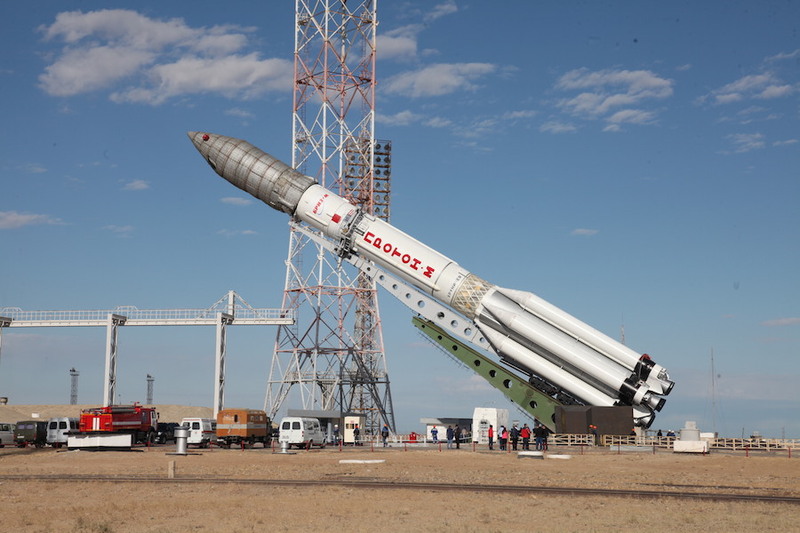 Thursday’s launch will be conducted under the management of International Launch Services, a Virginia-based company responsible for commercial Proton flights. 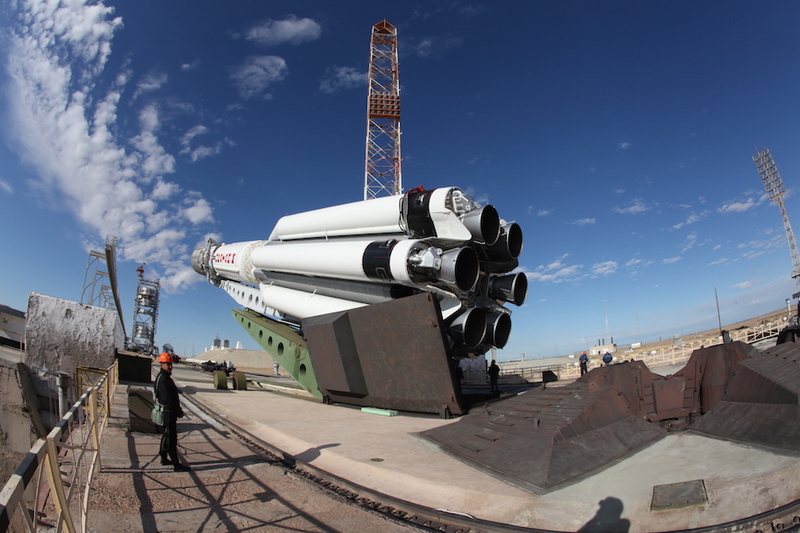 The launch of AsiaSat 9 will be the second ILS Proton mission this month after the successful Sept. 11 launch of the Amazonas 5 communications satellite for Hispasat. 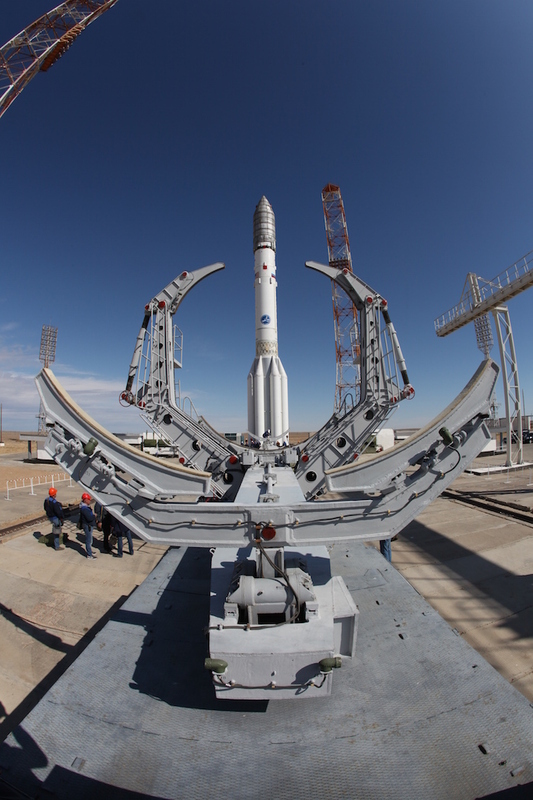 After soaring away from Baikonur atop nearly 2.5 million pounds of thrust, the Proton booster will shed its first stage around two minutes into the mission, followed by separation of its second and third stages at T+plus 5 minutes, 27 seconds. 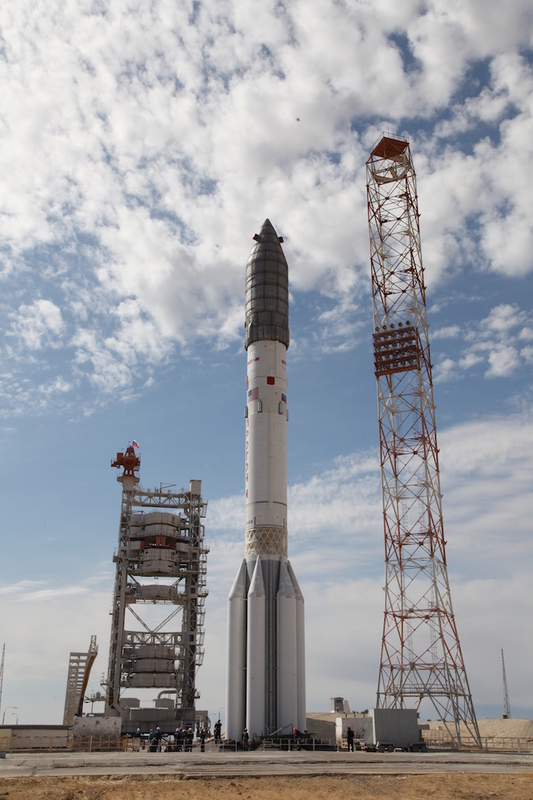 The aerodynamic shroud covering the AsiaSat 9 spacecraft will jettison at T+plus 5 minutes, 47 seconds, and the Proton’s RD-0213 third stage engine will shut down after a four-minute firing. 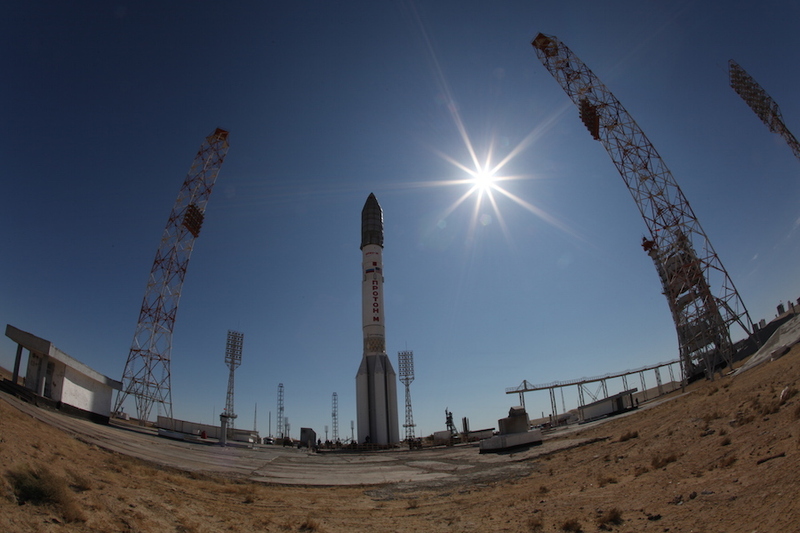 The Proton’s three main stages will propel the Breeze M upper stage and AsiaSat 9 on a suborbital ballistic trajectory. 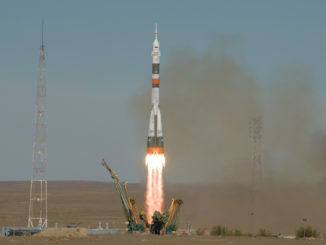 Five burns by the Breeze M’s main engine will first place the payload into a stable parking orbit around 105 miles (168 kilometers) above Earth, then gradually maneuver AsiaSat 9 into a higher orbit more closely aligned with the equator. 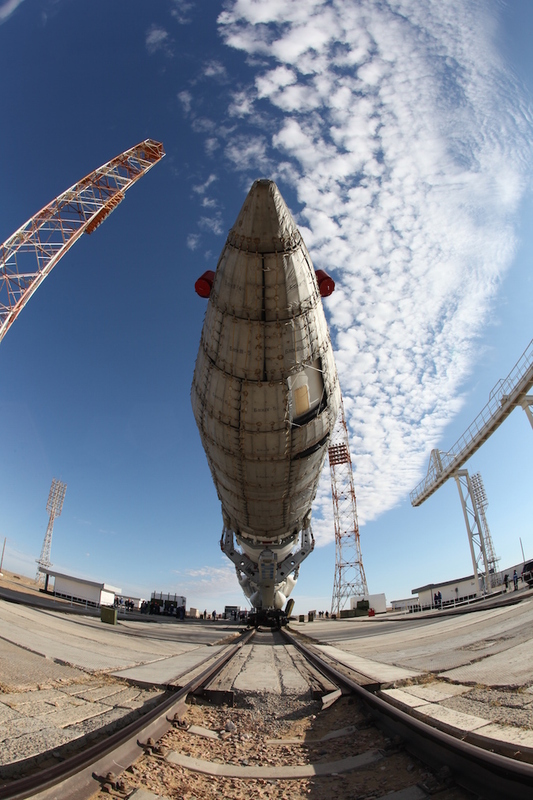 The final Breeze M burn will inject AsiaSat 9 into an egg-shaped transfer orbit ranging in altitude between 2,513 miles (4,045 kilometers) and 22,236 miles (35,786 kilometers), with an inclination of 23.4 degrees. 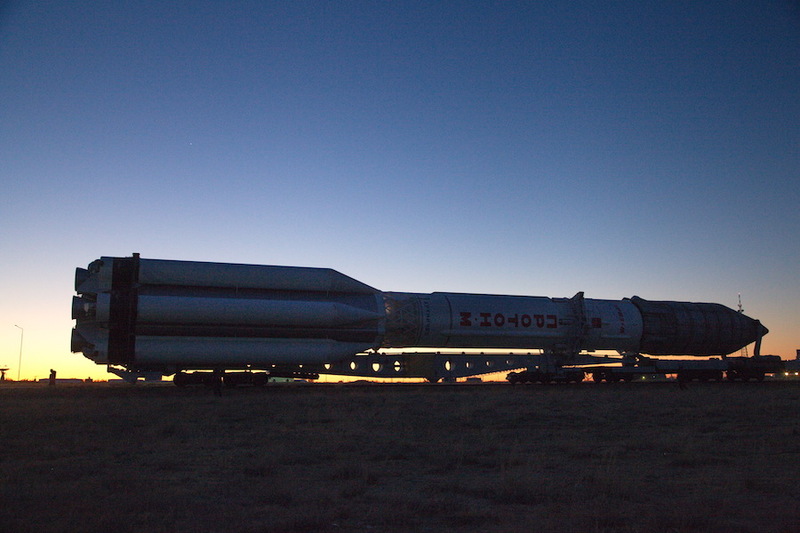 Deployment of the AsiaSat 9 satellite is expected at 0405 GMT (12:05 a.m. EDT) Friday to conclude the launch phase of the mission. 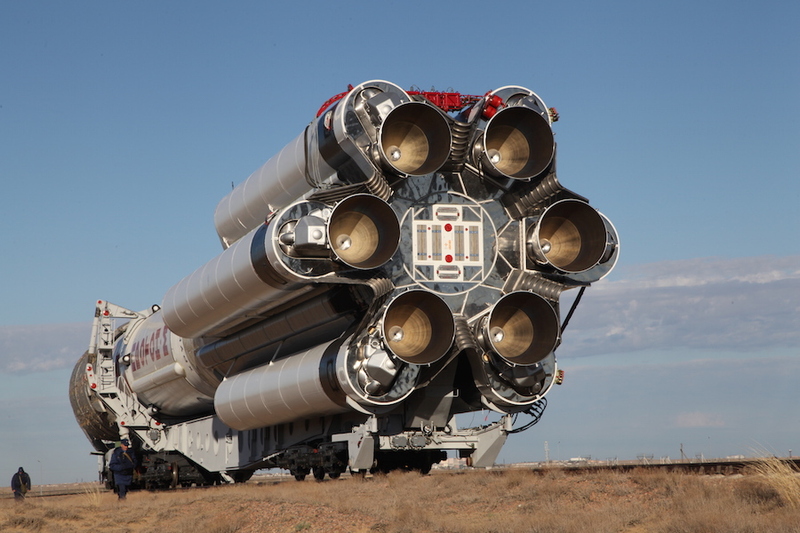 AsiaSat 9’s on-board engine will fire multiple times in the first few weeks after launch to circularize its orbit around 22,236 miles over the equator. 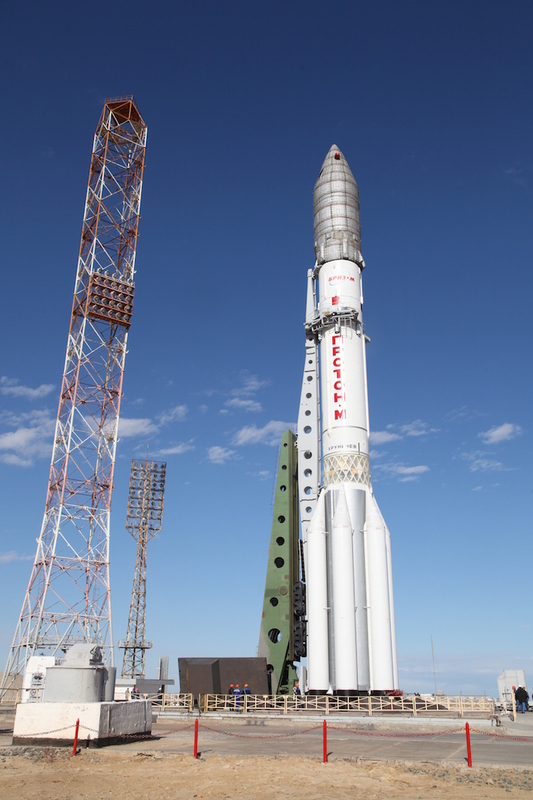 At that altitude, the satellite’s orbital velocity will match that of Earth’s rotation, allowing AsiaSat 9 to remain fixed over the equator at 122 degrees east longitude. 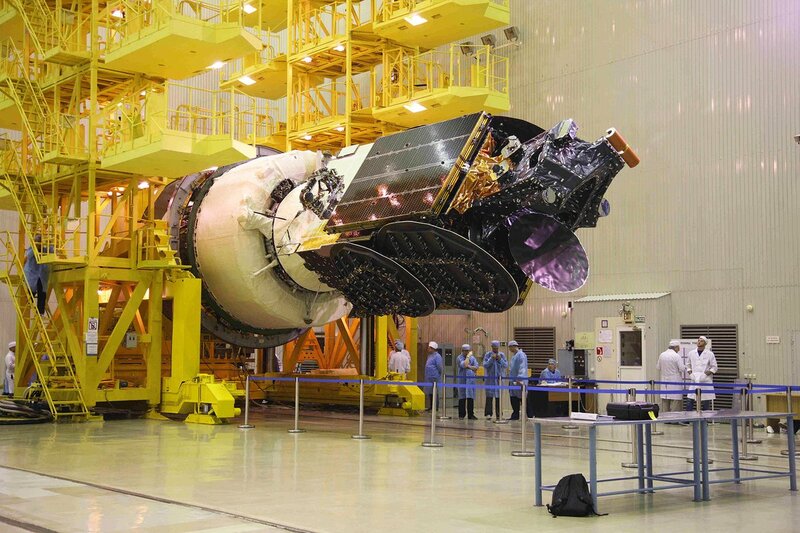 The new satellite will replace the AsiaSat 4 spacecraft at the 122 degrees east orbital location. 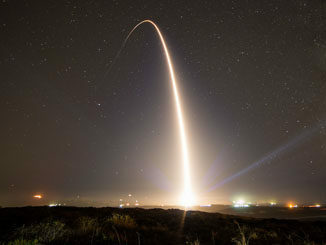 AsiaSat 4 launched from Cape Canaveral in April 2003 aboard an Atlas 3B rocket. 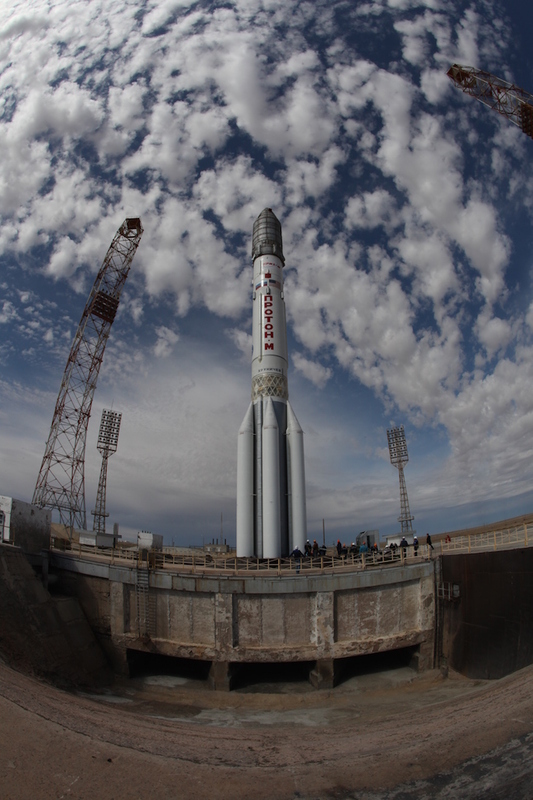 AsiaSat’s satellites currently support more than 700 television and radio channels, reaching more than 830 million TV households across the Asia-Pacific region. 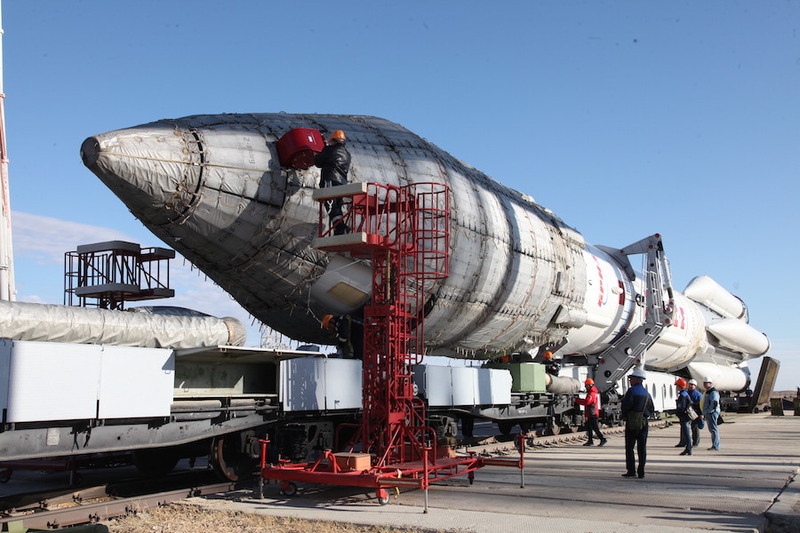 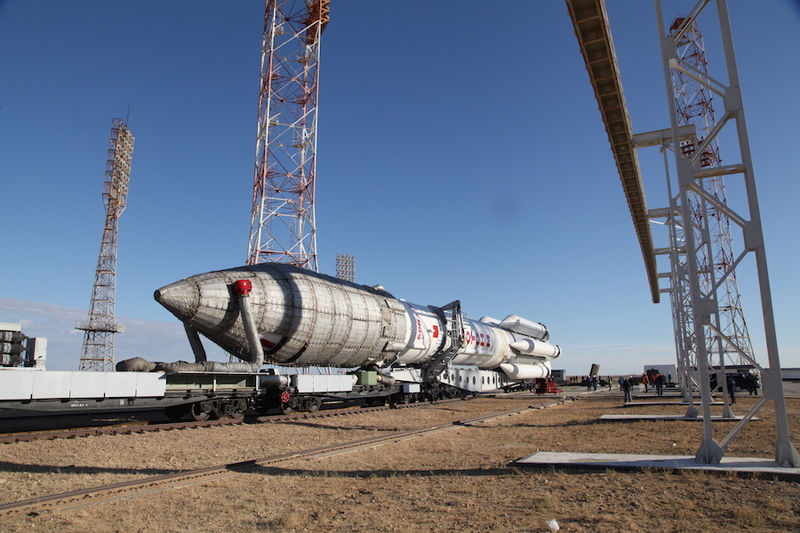 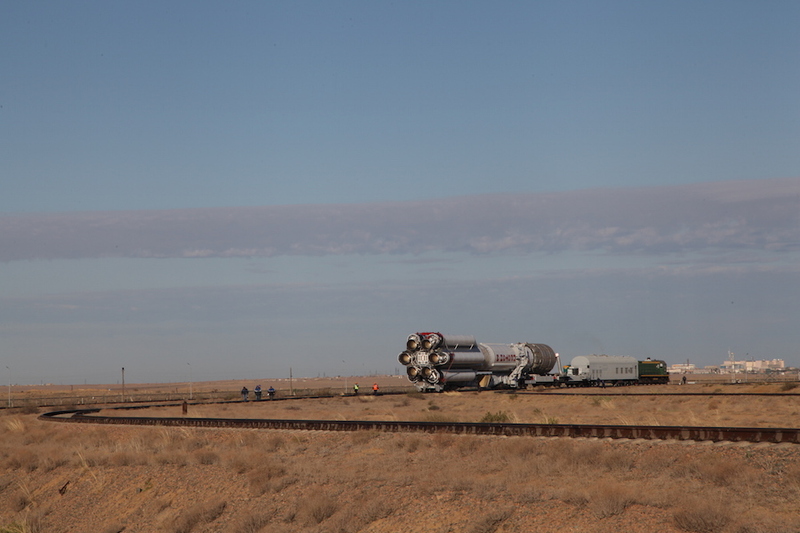 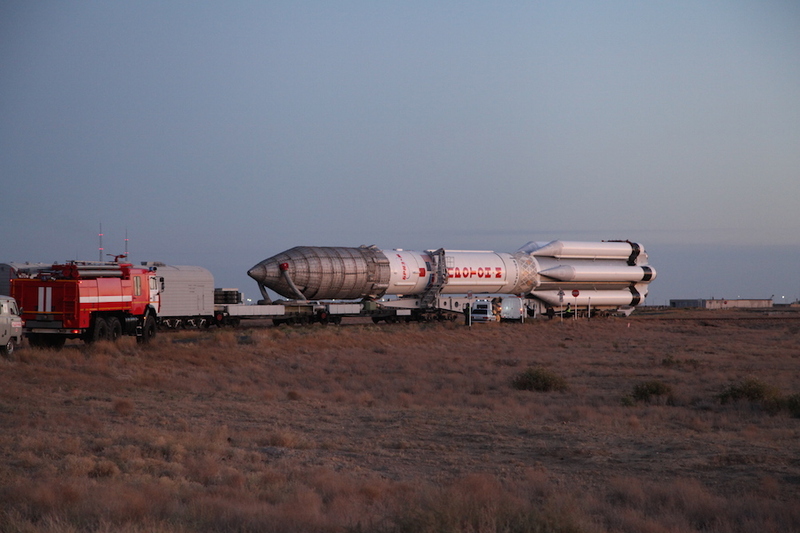 Photos of the Proton rocket’s rollout to the launch pad Monday are posted below.